Incurable Collector: was founded in 1984. We are located in the heart of The Beach at 1920 Queen St. East. Our love for art and design has established us as one of the leading full service custom picture framing companies in Canada. Our showroom showcases a vast and diverse in stock selection of artwork, from offset printed posters and giclees' to limited edition prints, litho's, serigraphs, canvas’s and some original artwork. The impact of art can be dramatically affected by the quality and aesthetics of its frame. 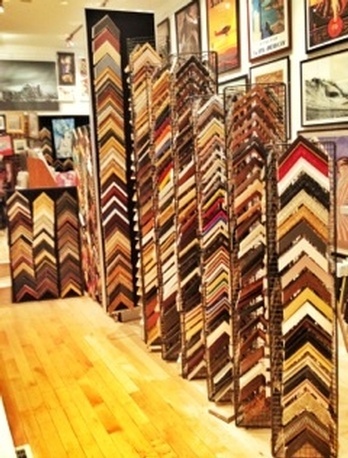 We pride ourselves in providing professional custom framing advice and an unmatched selection of options for framing while constantly updating our collections. If you are looking for something specific, please contact us and we'll be glad to assist.